GetGeared Tip: Now with FREE dark visor! The rise of the Spartan. This is the Shark Spartan Carbon helmet, the new aerodynamic race helmet. It is a full face helmet, ideal for track and road riding. 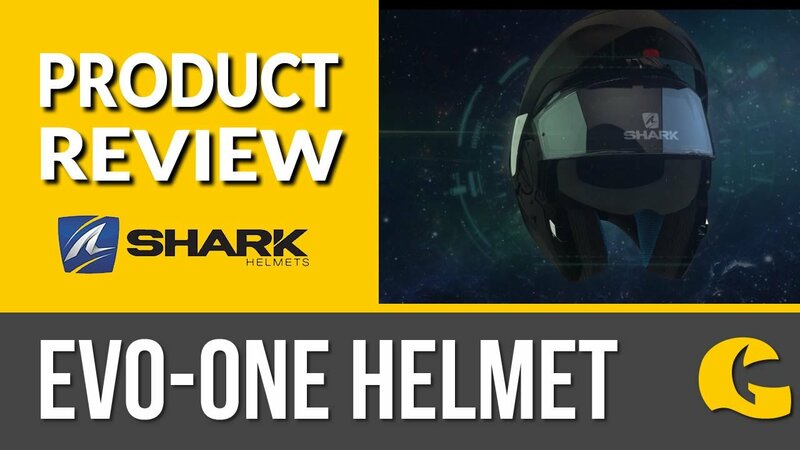 As well as being classy, aerodynamic and strong, the new Shark Spartan helmet has features that are usually reserved for touring helmets, such as the internal drop-down sun visor. Lightweight and aerodynamic: The Spartan comes in at just 1290g on the smaller shell thanks to the mixed construction of carbon fibre and fibreglass. The Shark Skin peak side fastenings give an active reduction of whistling noise while riding at speed and the double spoiler with built-in air extractors keeps you stable and cool. "I have road I this helmet for about a month no and I have nothing bad to say about this helmet. It is very light weight and looks great. I would recommend this helmet to anyone"